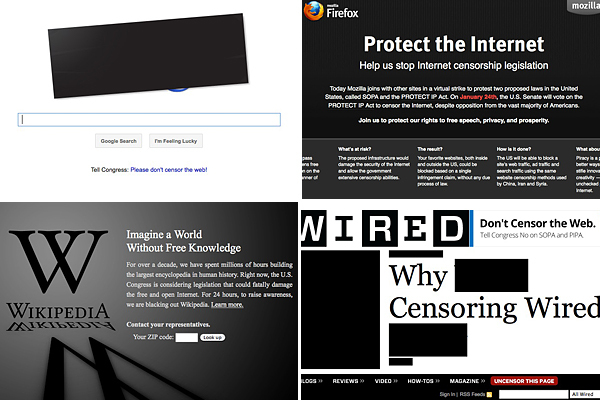 Yes this post is to tell you about the success yesterday (18/01-12) when many sites went dark and most significant sites wrote about SOPA & PIPA or blacked out their logo. Even google blacked out their logo for a some time. Wikipedia went completely black. And so did reddit. This is very good, because it worked, yesterday according to google SOPA & PIPA got 4.5 million new protesters! A spokeswoman for Google confirmed that 4.5 million people added their names to the company’s anti-SOPA petition today. One more big step we took against defeating SOPA is finally convincing Facebook! Anything more? Oh yes, 18 senators withdrew their support of the bill! But remember its not quite over just yet! Share this facebook page wich includes all info on how to vote against!